They are the tiny machines with unlimited potential. Read one story and you’ll come away thinking they are the savior technology. The technology that will cleanse our brains of the plaque of old age; the technology that will build new materials unimaginable today. But read another story and they are our doom. They will replicate uncontrollably and destroy humanity. They are at once seen as the technology with the greatest promise and the greatest peril known to man. And yet, ask most people what nanotechnology is or where it is going and most will tell you they’ve never heard of it or have only heard of it on a science fiction show or movie. I don’t know if it will save us or destroy us. But I do know that some fascinating advances over the past year or so have taken the technology out of the realm of science fiction and presented us with a much clearer picture of what we will have as scientific fact in the very near future. So rather than write another droll article about whether nanotechnology will save us or destroy us, I thought it better to show exactly where the technology stands in the middle of 2014. Before I begin, a simple overview of nanotechnology. The U.S. National Nanotechnology Initiative defines “nanotechnology” as anything smaller than 100 nanometers with novel properties. A nanometer is one billionth of a meter, roughly the width of three or four atoms. The average human hair is about 25,000 nanometers wide so this gives you an idea as to how small we are talking about when we say nanotechnology. To me, the definition is correct but a bit vague and of little help to those trying to understand its use in the real world. For the purposes of this article, let’s agree that nanotechnology consists of tiny, even microscopic, technology that presumably has some designed function other than the destruction of humanity. a) They need to be tiny; And I mean real small. Small enough that they can cruise through your veins without you even noticing. As I mentioned above, the word “Nanotechnology” technology refers to technology that is 100 nanometers or smaller. b) They need to be able to maneuver; Such technology would have limited use if it just floated around in an uncontrollable manner. There are some applications that do not necessarily need guided probes so this is a requirement dependent on usage. c) They need to be able to communicate; Again the technology would be of limited use if it could not be given commands and preferably also have the capability of communicating with those around it to coordinate actions. The ultimate goal would be to create probes with built-in wireless telemetry, so they could communicate information to each other and to their human operators. I include nano-scale data storage in this category. d) They need to be able to perform a function; The nanoprobe is presumably designed for some function. That function might be assembly, disassemble, exploration, reproduction or other functions. The nature of each unit’s functionality would dictate the structure (scaffolds, motors, pincers, delivery capsules, sensors, cameras, etc) of the unit. e) They need to be powered; Nanoprobes must have a power source if they are to have movement, communications and functionality. Medical Nanoprobes: Probes small enough to be steered through the body. They could find and clear cancer cells, treat or possibly even cure Diabetes and scrub our brains of the plaque responsible for Alzheimer’s Disease. They could deliver drugs to specific parts of the body at a cellular level. Therapeutic probes could be used to restore eyesight or hearing by repairing or rerouting nerve paths. The technology could even be used to enhance sensory capabilities and strengthen bone and muscle mass. Implanted biosensors could manage glucose levels, monitor vital signs and signal emergencies before you’re even aware you have a problem. Nanotechnology could even be used for gene therapy, manipulating DNA to fix genetic issues. Electronic Nanotechnology: 3-D Holography with no glasses that looks like something out of Star Wars; Clothing with nanofibers batteries, super-efficient lighting and photovoltaics and many other nano-technology related advances will be seen in the electronics industry. Semiconductor nano particles known as “quantum dots” are now being used in flat-panel TVs and light bulbs. Micro-Satellites that are 90 percent smaller than today’s systems will soon be taking advantage of the greatly reduces size of electronics. They will also have much smaller power requirements meaning that solar arrays, already becoming more efficient, will be able to power capabilities far beyond most of today’s satellites. Military: Micro-drones that look like insects, Ironman-like armor and superstrong materials able to withstand blasts and even self-heal. Material production: While the main focus of this article is on nanoprobe technology, it is a fact that nanotechnology machines are enabling the production of new materials that will have a large and varied impact on our lives. Nanotechnology can allow us to make multiwall carbon nanotube material at what amounts to 100-gigapascal tensile strength, which is 20 times stronger than the strongest carbon fiber made today. Carbon Nanotubes, Graphene, Carbon sequestering filters, Hyperbolic metamaterials and many other materials that don’t mean much to the average reader in today’s world are going to be real game changers in the future. There are many technological challenges and discoveries that will have to happen before many if not all of these systems become reality. Significant advances have been recently made in the nanotechnology field that bring this technology much closer to fruition. Nanoscale Production: Producing uniform-sized technology at the molecular level is a necessary feature of producing nano machines but the techniques for doing so did not until recently exist. Several advances are leading us towards this capability. North Carolina State University recently revealed how they had developed a new method for making carbon nanofibers of specific sizes. And the University of New York and the University of Melbourne have created a technique for using DNA strands to create specific 2-D shapes. Arizona State University and University of Michigan scientists have developed a similar 3-D artificial enzyme technology. Georgia Institute of Technology researchers announced in an April 2014 study how they have developed a technique for the development of gear-like molecular-scale machines. And recent advancements in molecular self-assembly advance our capabilities to produce molecular wires, memory units, etc. 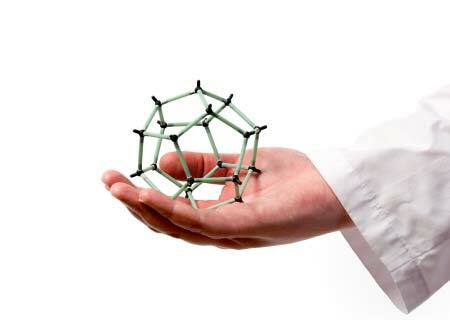 So you can see there are some great strides being made in how to build the structure of nanotechnology machines. Nanotechnology Controlled Movement: Several different methods have been developed or are in development to allow for controlled maneuvering of nanotechnology. As with much of nanotechnology, many of the lines of research on how to give controlled movement to nanotechnology rely on copying what nature has designed. Researchers at the American Institute of Physics (AIP) have designed a sperm-inspired micro-robots that have a sperm-like tail and whose forward movement is controlled with magnetic fields. Another recently developed technique uses magnets to control the direct of tiny motors that can work within living cells. Communication: Nanotechnology needs to be able to receive instructions and, for certain functions, be able to transmit feedback to their human operator. Maybe nanoprobes will have to use their movement capabilities to ensure they stay very close to each other so they can communicate with each other in a manner similar to neurotransmitters. For example, a centralized small device the size of a pill could be either inserted or ingested and nanoprobes would then use that as a centralized processor and use their movement capabilities to ensure they stay with communication range of the device. The micro-technology device would act as a network hub, receiving instructions from the human operator and the device would send that information out to the many nanoprobes. The nanoprobes would communicate their location and functions to the device which would then be sent to the human operator. This could also be an effective way of controlling nanotechnology within a body as they would have no functional capability without the hub device. Nanoprobe Functionality: The nanoprobes have to be able to provide some sort of useful functionality. This functionality might include capabilities such as grabbing, cutting, sensing, video and transporting. There are many recent advancements in this area including a very interesting development of nano-scale tools to include Biomolecular Tweezers, Optical Tweezers, Nanolasers. Many researchers interested in creating functional nanoprobes have focused on Biomimetics, which takes advantage of the millions of years of refinement nature has put into the design of the functionality of plants and animals to design mechanical functionality that somewhat mimics natural designs. This could include features such mimicking the gecko’s ability to walk up walls; waterstriders ability to walk on water; actuators and designer materials that mimic muscles; the photo receptive capabilities of algae; insect infrared sensing capabilities and other sensory functions. Power: Nanoprobes must have a power source if they are to have movement, communications and functionality. Will they pull power from their surroundings in some electrochemical process or will they be battery powered. Recent developments in nanoscale batteries make this a distinct possibility. One awesome recent advance was announced by Vanderbilt’s Nanomaterials and Energy Devices Laboratory. They have developed a supercapacitor that stores electricity by assembling electrically charged ions on the surface of a porous material, instead of storing it in chemical reactions the way batteries do. Their supercapicitors can charge and discharge in minutes, instead of hours, and operate for millions of cycles, instead of thousands of cycles like batteries. If this can be scaled down to nano-sized storage, then the probes will have their power source. And if supercharged batteries aren’t the answer, there’s always the advancements being made in wireless recharging of nano-scale batteries. There have been many other advances that don’t necessarily fall into the above categories but are important advances that take us that much closer to having nanoprobe technology. And there are some big advances in nanotechnology that don’t relate to nanoprobes that are going to have as big if not bigger influences on our lives. Advances like nanoscale imaging, that will improve our healthcare, antibacterial surfaces that will help reduce disease and water desalination that will give much of the world safe drinking water and eliminate the need for water wars. Each are extremely important and will shape many aspects of our future. As it stands now, nanotechnology seems much more likely to enhance our lives that it does to terminate them. Let us hope that our ability to control these advances matches our ability to find innovative uses of this technology.